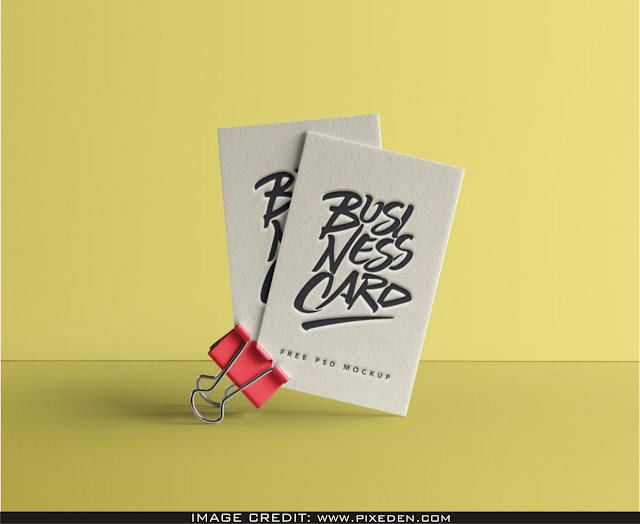 Psd business card mockup free download with a paper clip to show your design art. Download this great free business card mockup from Pixeden. You can change the business card and paper clip color effortlessly and include your very own artwork into this clean mockup.